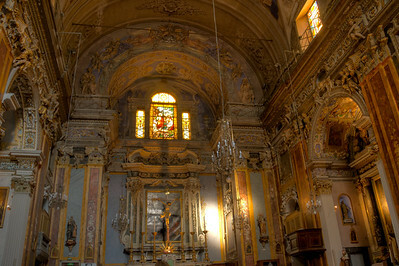 Interior of Church of Saint Jacques le Majeur, in Old Nice. 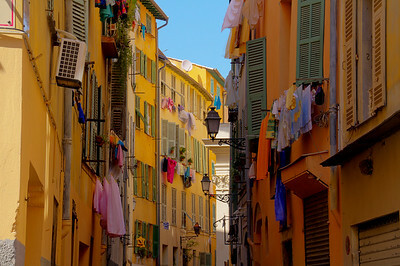 Laundry day in Old Nice. 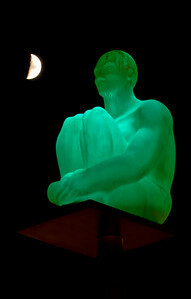 One of the pole-sitting-man sculptues ponders the half-moon. 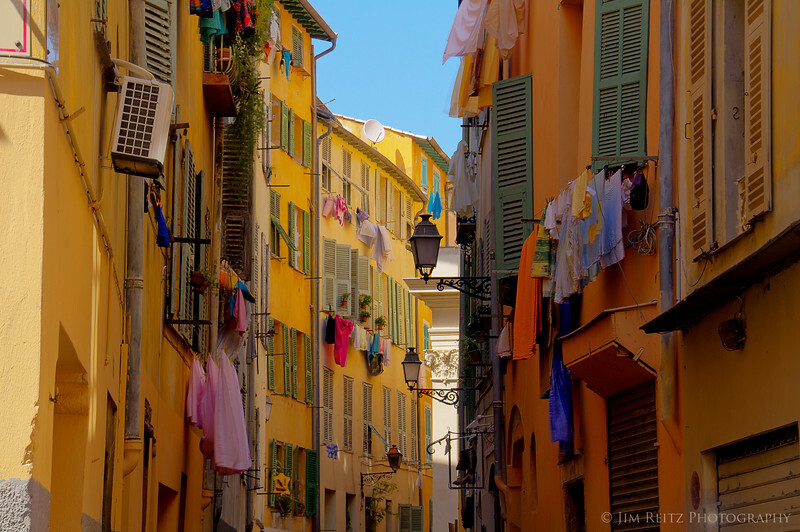 Place Massena, Nice. 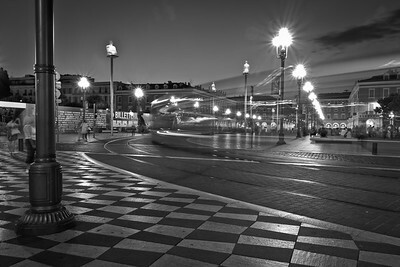 Nice's light rail train zooms past Place Messena at night. 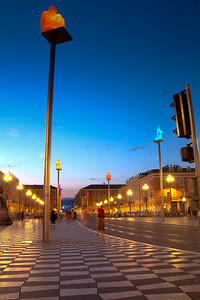 Place Massena - Nice's main public square - lights up at night, including these strange statues of sitting men atop poles. 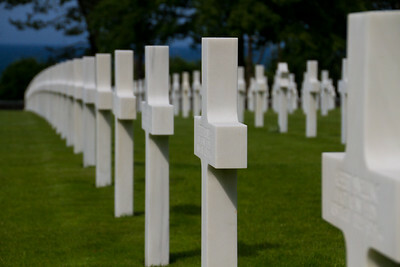 Couldn't resist snapping this one. 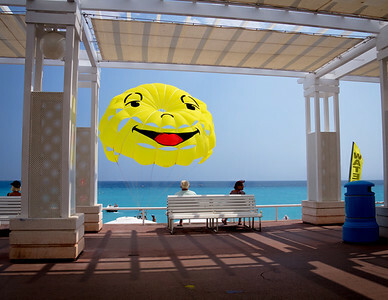 Beach-watchers get a large smiley face, courtesy of local para-sailing boats. 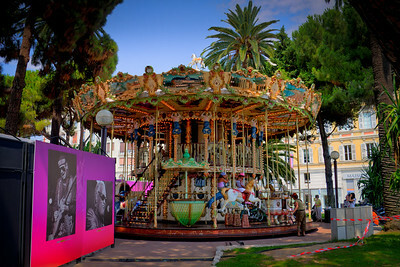 Cool two-level carousel in Nice, right behind the Jazz Festival site. 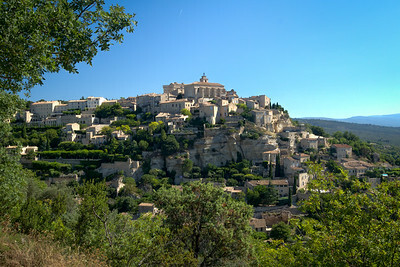 The classic Provence hill town of Gordes - which we passed thru on the way back from the abbey. 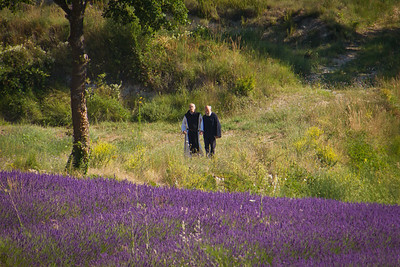 Two of the monks from the Abbey take a stroll past their lavender fields. 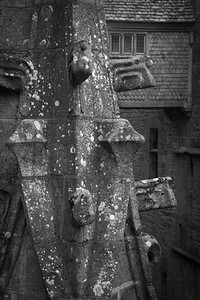 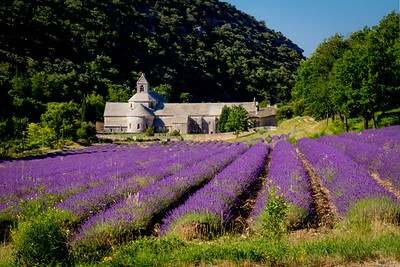 Abbey Notre-Dame de Senanque - built in 1148 by Cistercian monks, set deep within a remote canyon and surrounding by acres of lavender. 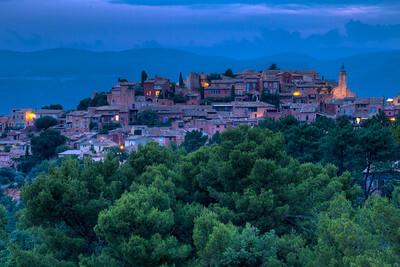 Early morning view of Roussillon, just a block from our hotel. 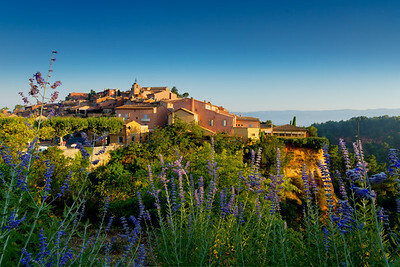 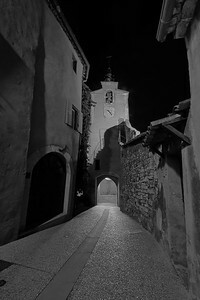 The lovely village of Roussillon in Provence, early morning view. 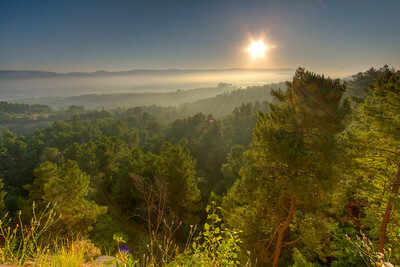 The sun rises over a misty Luberon Valley in Provence. 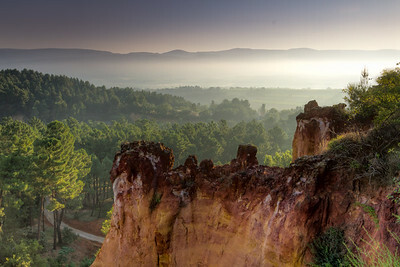 View from the walking trail in Roussillon. 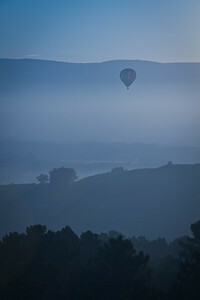 A hot-air balloon takes flight for an early morning cruise in the Luberon Valley. 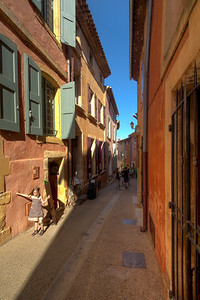 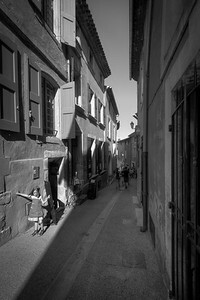 Colorful buildings and narrow streets in Roussillon. 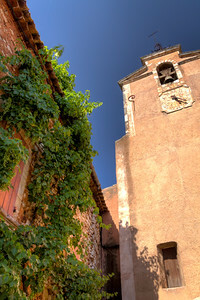 Church and grapevine-wall, in Roussillon. 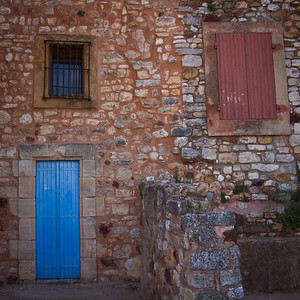 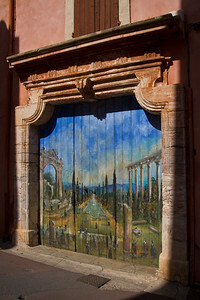 A coloful painted garage door in Roussillon. 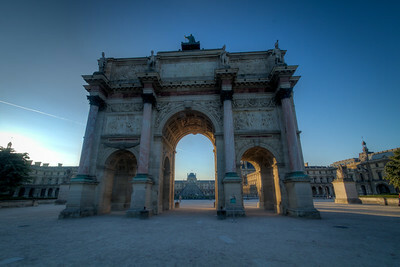 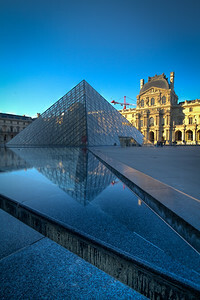 View of the Louvre main entrance pyramid, early morning. 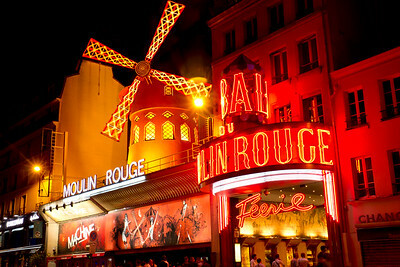 The famous Moulin Rouge nightclub in Paris. 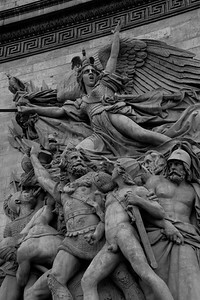 Detail of sculpture on the Arc de Triompe. 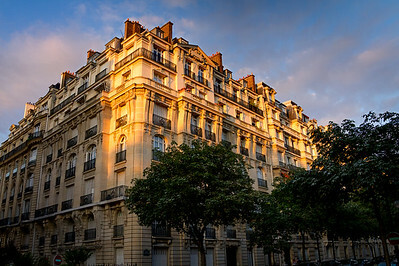 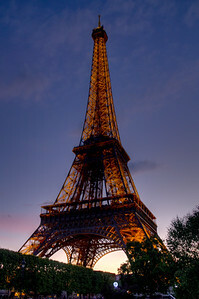 Classic view of the Eiffel Tower. 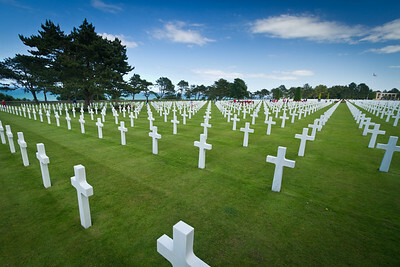 Grave markers at the American Cemetery in Normandy. 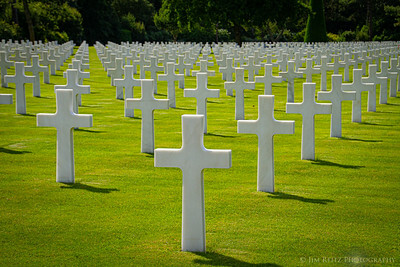 Some of the 9000+ grave markers at the American Cemetery in Normandy. 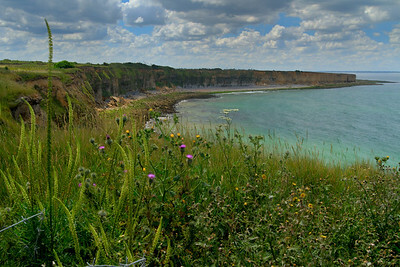 View from Pont du Hoc, Normandy - showing the cliffs that US Army Rangers scaled in darkness in June, 1944. 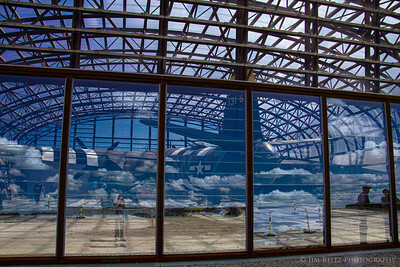 A restored B-26 bomber is being put on display in a new glass hangar at Utah Beach in Normandy. 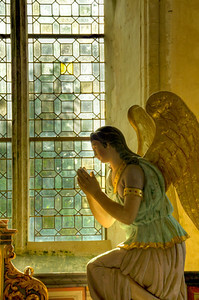 Interior of Angoville-au-Plain church in Normandy. 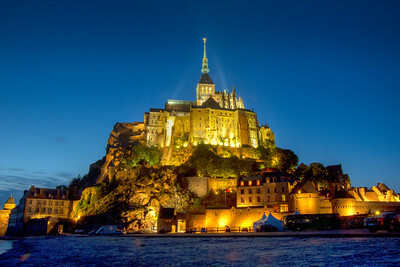 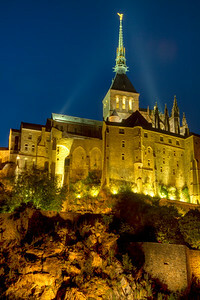 Nighttime view of Mont St. Michel. 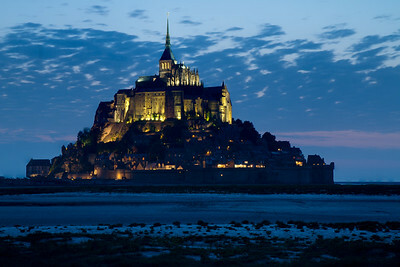 Evening view of Mont St. Michel. 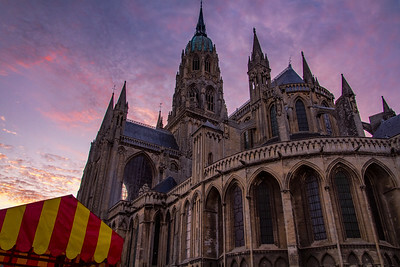 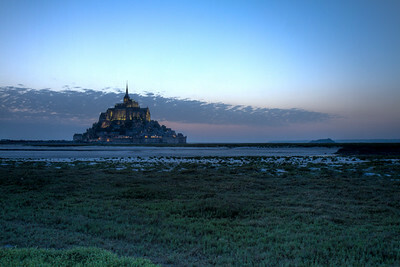 After sunset, the abby of Mont St. Michel is brilliantly illuminated. 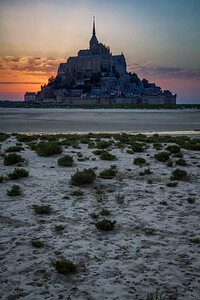 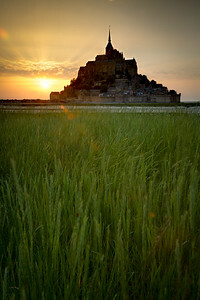 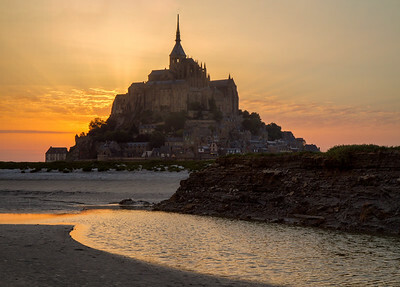 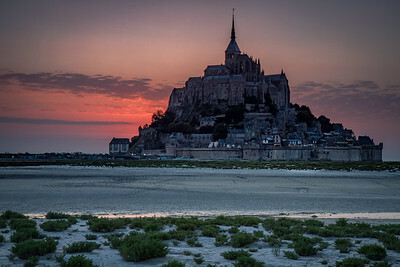 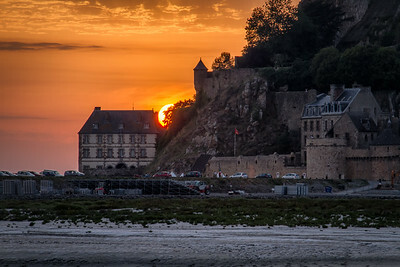 Sunset behind Mont St. Michel. 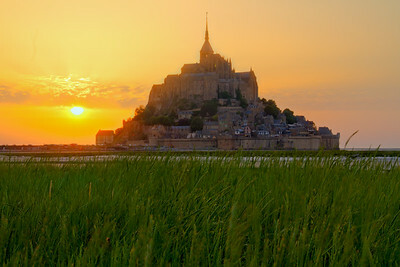 View from the tidal marshes. 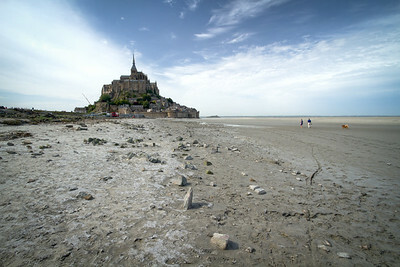 View of Mont St. Michel from the beach next to the causeway. 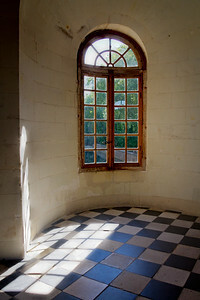 Tranquil light filters thru the window, Chateau Chenonceau. 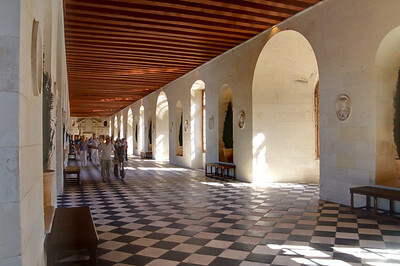 Main galllery hallway at Chateau Chenonceau.